BIG CHAP - One of the most iconic creatures of all time!This masterpiece of a statue expresses the true character from every detail down to its infamous pose. Big Chap will always be a symbolic member of the golden monster era. This project began with a special team of four hand-selected by Mamegyorai. The director of this team is Mr. Kiyonori Fujimoto who has sculpted, painted, and finalized this incredible life-like character in 1:3 scale. 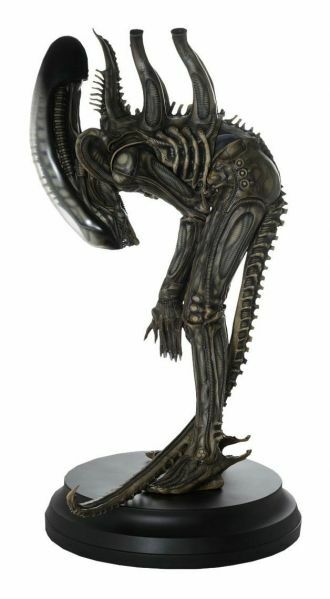 No compromises were made - attention to every fine detail has been brought to life!This is a must-have for any Alien fan's collection.Please note: Due to the size of this item, additional shipping costs may apply. Apart from your location, the actual package size and weight is needed to determine those costs. Both are unknown at this point and may not be available until the product arrives in our warehouse.